We offer all kinds of roofing service. Felt, Slate or Tile. AA Roofing provides expertise in the installation, construction and repair of slate, tile and felt roofing throughout Seaton, Devon, Exeter, Sidmouth, Honiton, Lyme Regis, Kilmington, Axeminster, Colyton, Chard and Ottery St. Mary. AA Roofing are a family roofing company who are one of the longest established roofing names in the Exeter area. With many years of experience, we have provided roofing services to generations of families in Devon & Exeter. We offer a comprehensive range of roofing services, from new roof installations to pitched and flat replacement, roofing & chimney repair work to additional services like leadwork, Velux windows, guttering, cladding and fascias. At AA Roofing, we provide a comprehensive roof replacement service for residential properties in the Exeter & Devon area, including tiled roofs, natural slate roofs, and flat roofs. We work with private home owners, builders and with architects on new build projects. Our team have the experience and the skills to ensure that each roofing project is completed on time and in within budget. 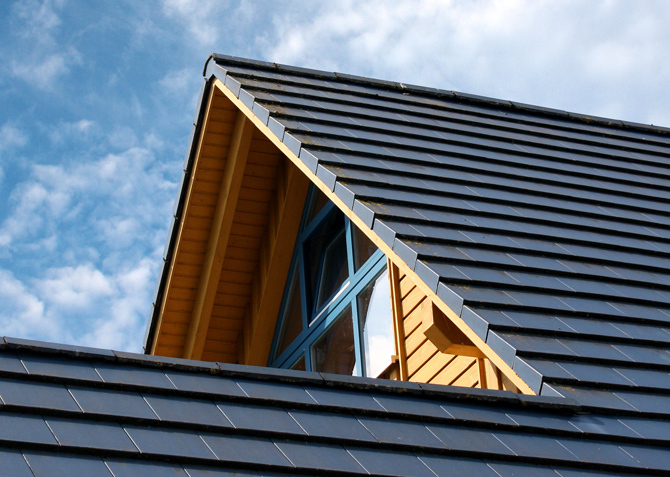 At AA Roofing we have established ourselves as the roofing company in Devon you can rely on. We do a lot of roofing work on slate, tile and felt style roofs. Felt roofing is still one of our most popular roofing systems. Whether you need to have your felt roof repaired or fully refurbished we can supply and fit a range of felt roofing products. Repairs, replacement or cleaning to guttering. AA Roofing in Devon offer professional services in the installations, maintenance & repair of guttering, fascias & soffits. AA Roofing can upgrade, repair, replace or install new facia boards or soffits to suit your individual property or business that are made of timber or upvc plastic. AA Roofing offer professional services in Devon for the installation, repairs & maintenance of Dry Verges. Dry verges and ridges eliminate the need for mortar pointing.